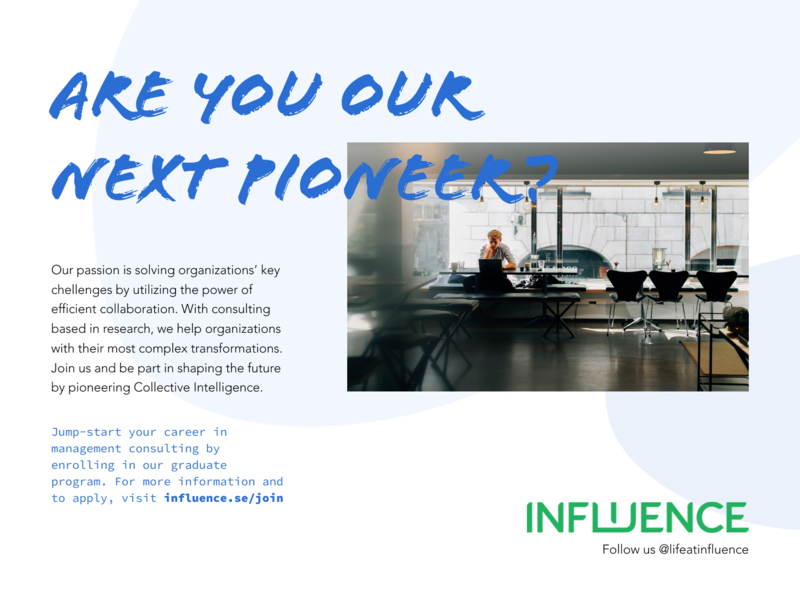 Influence is a Swedish management consulting company with roots in research and we know that we can maximize business value by bringing together people and structure. We call it Collective Intelligence. Since our start in 2007, we have contributed to significant transformations at companies and organizations in various industries. We are looking for soon-to-be graduates who wants to join our growing team and develop the skills of a successful management consultant. You will enrol in our graduate program that composes of delivery in complex projects, trainings in tools and methods, mentorship and continuous reflection session with your program peers.